Although it’s closer to Turkey than mainland Greece, the Island of Rhodes is the largest Greek island in the Dodecanee chain. Its ancient port (in its capital, the city of Rhodes) was world-famous as the location of the Colossus of Rhodes, one of the seven Wonders of the Ancient World. It was completed in 280BC, but destroyed in 224BC. No trace of it remains today. Paul didn’t come to the city of Rhodes, but he did come to the island. (Acts 21:1) Back in his day, Lindos was the big city and Rhodes was a small town. But through the years, Rhodes gained in popularity, and eventually became the economic center of the island. Rhodes reached its cultural and economic zenith during the third century AD and was well known as one of the most civilized and beautiful cities in Hellas. During the Crusader period, the city underwent drastic military expansion under the guidance of the Knights Hospitaller. Under their direction, Rhodes became the model of the European medieval ideal. Many of the city’s most famous monuments were built during this period. Here are a couple of pillars built to commemorate the location of where the Colussus of Rhodes most likely stood. Estimates say that it was slightly over 100 feet tall, but looking at where the pedestals were located, it seems to me that it had to be a lot taller than that. The castle built by the Knights Hospitaller is huge. It forms the fortress wall that encompasses the Old City of Rhodes. Each of these stone balls weighs in excess of 400lbs. They were used in catapults. The ceiling of one of the cross arches. There are lots of shops in the Old City of Rhodes. This is one of the fountains near the center of the shops. I have no idea what this place is, but it was near the east-most section of the shops. Lots of interesting alleys and byways. I have no idea what these buildings were. Reminded me a lot of the windmils on Mykonos. An old canon, aimed out to sea. 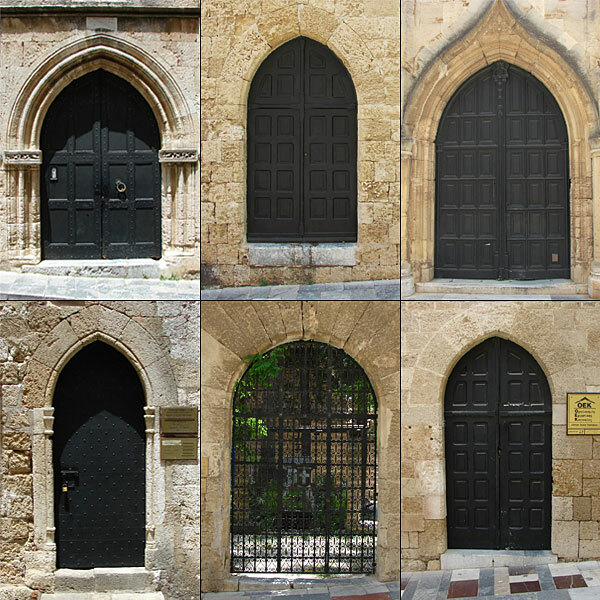 The City of Rhodes is a mix of Hellenistic, Byzantine, Ottoman, and Medieval architecture. Like anywhere else in Greece, the water is crystal clear. Our ship looked pretty impressive in the harbor. 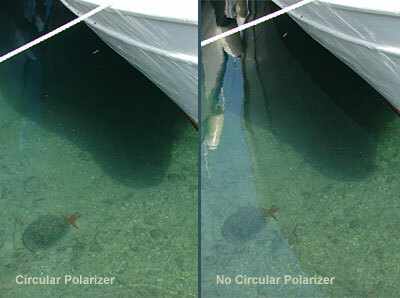 While I’m at it… here’s an excellent example of why every photographer should own a circular polarizer. Note the huge difference in the glare/reflection of the boat and sky in the photo on the right. The red starfish is almost obscured by the glare.